Working in close relationship with farmers, distributors, researchers, suppliers and staff. We strive to understand all the needs in the agricultural industry. In turn, we continue to strengthen our relationships, skills, technology and exceptional product manufacturing, to grow as a business locally and internationally. As a registered manufacturer and supplier of agricultural products to the South African farming industry, we are committed to supplying the best quality products with professional advice from our diverse pool of staff knowledge and expertise. As the MBFi Group we are dedicated to enhancing research and development of biological technology to help productivity of crops around the world. 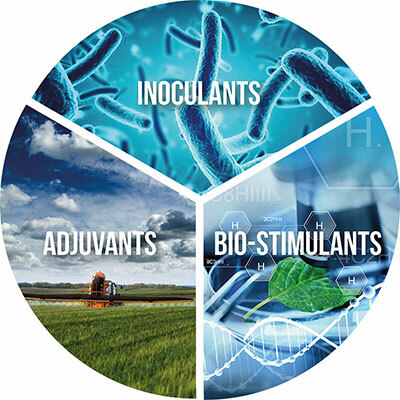 The three main pillars of our products are Bio-Stimulants, Biologicals and Adjuvants. We aim to assist in growing the agricultural industry sustainably, by being leaders within the biological and bio-stimulant marketplace where the agricultural industry is coming to expect nothing but extraordinary.